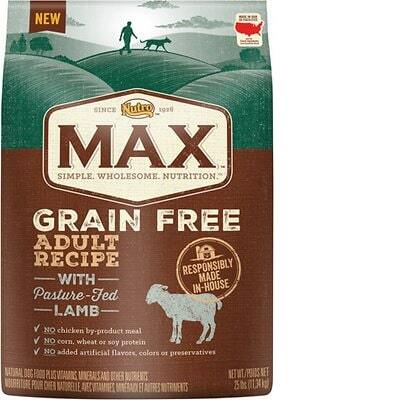 Nutro Max Grain-Free Adult Recipe is a low-priced dog food with great quality. This product has no controversial ingredients and includes no artificial preservatives, colors and flavors. However, the food has a very amount of carbs, compared to its protein and fat with excellent meat and fat quality. Nutro also has an above-average number of dog food recalls. Positively, the company was very transparent when answering our questions. Watchdog Labs recommends this product. 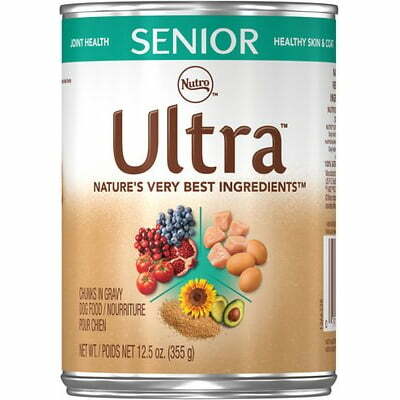 Chicken Meal, Dried Potatoes, Chickpeas, Chicken Fat (Preserved with Mixed Tocopherols), Peas, Deboned Lamb, Lamb Meal, Dehydrated Alfalfa Meal, Dried Plain Beet Pulp, Natural Flavor, Potassium Chloride, Salt, Dl-Methionine, Choline Chloride, Zinc Sulfate, Taurine, Niacin Supplement, Biotin, Vitamin E Supplement, Calcium Pantothenate, Riboflavin Supplement (Vitamin B2), Iron Amino Acid Chelate, Copper Amino Acid Chelate, Selenium Yeast, Vitamin B12 Supplement, Pyridoxine Hydrochloride (Vitamin B6), Manganese Amino Acid Chelate, Vitamin A Supplement, Thiamine Mononitrate (Vitamin B1), Potassium Iodide, Vitamin D3 Supplement, Folic Acid, Rosemary Extract, Decaffeinated Green Tea Extract, Spearmint Extract. The average dog food we reviewed has 39 total ingredients, with 1 controversial ingredient. This product has 0 controversial ingredients - that’s what you want to see from your dog food, fantastic. Not a single controversial ingredient can be found on the food label, well done. Nutro dog food is made in the United States, which ensures high quality and food safety standards are followed. Chicken Meal, Chicken Fat, Deboned Lamb, and Lamb Meal are the meats and major fat sources in this dog food. We like that all four of them clearly show you which animals they come from. The food label shows no added oils, so the fat comes from the Chicken Fat, meats and plant ingredients. This product contains 0 controversial artificial preservatives - really great! Here’s a quick primer on this topic: It’s good to know that ‍not all artificial preservatives are bad. That’s because they serve an important purpose, which is to prevent food from spoiling. However, we consider 11 artificial preservatives controversial because of their potential link to cancer and other serious health conditions. No artificial colors, either. That’s how it should be, nice. Last but not least, we didn’t find artificial flavors in this dog food. No controversial artificial preservatives, colors or flavors - we love when food brands skip all of them. Well done! Nutro has an above-average number of dog food recalls. 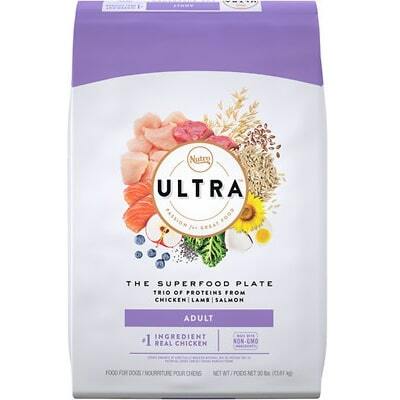 Nutro Ultra Puppy (4.5 lb. and 30 lb. 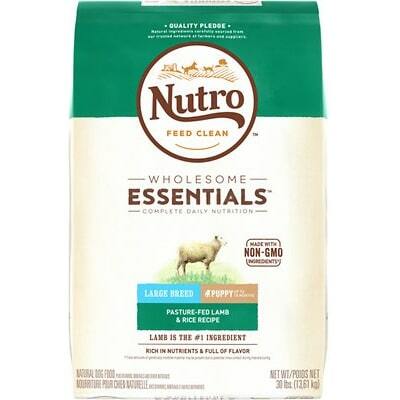 bags) and Nutro Natural Choice Chicken Meal, Rice and Oatmeal Formula Small Bites Puppy (5 lb. bags), both with “Best By” dates of Sept. 10, 2010 only. Plastic found in production line. 12.5 oz. 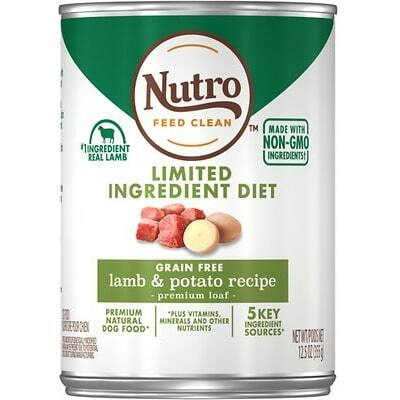 cans of the following Nutro dog food with “Best By” dates of Dec. 10–11, 2009: Adult, Puppy, Senior, Weight Management, Large Breed AD, and Large Breed Puppy. Nutro is part of the Mars family of brands and was pretty responsive. It only required one email, and they responded in 4 days. Not lightning fast, but compared to the average dog food brand, it was good response time. The detail here is great, but they were unable to share the specific names of the professionals. This response felt more like a marketing response and dodges the actual question. They were unable to provide any names of the professionals involved in the formulation of the product. Our CRAVE, Nutro, products are currently manufactured in the USA.